Fight of the century - Floyd Mayweather Vs Conor McGregor confirmed! Home Sport Fight of the century – Floyd Mayweather Vs Conor McGregor confirmed! Fight of the century – Floyd Mayweather Vs Conor McGregor confirmed! Floyd Mayweather Vs Conor McGregor is finally happening! It's Floyd Mayweather Vs Conor McGregor this August! Mark the date. It’s August 26, 2017 when the unbeaten, former five-division boxing world champion Floyd Mayweather will come out of retirement to fight the first UFC fighter to ever claim a world title in different weight divisions, UFC Lightweight Champion Conor McGregor. This highly anticipated fight comes after a lengthy slanging match between the two warriors that kept the fans salivating at the possibility of a cross-code showdown. Irishman Conor McGregor was the first to confirm the fight when he announced on Twitter that “THE FIGHT IS ON”. 40-year old world champ Mayweather responded with “It’s official” on Instagram after a few moments to confirm the fight. UFC president, Dana White also revealed the bout on TV, saying that negotiations for the “impossible deal” had been finalized. He also announced that the T-Mobile Arena in Vegas will be the venue for the fierce party. Showtime will broadcast the pay-per-view bout, which is set to be contested over 12 rounds. It’s expected that the bout will generate a staggering £500million. Mayweather’s fight with McGregor will be his first “money” fight after retirement. The champ retired from the ring with an undisputed victory in September 2015 when he beat Andre Berto 49-0. Mayweather was undefeated in 49 bouts when he retired. According to Dana White, the fight will earn each athlete at least £78.5m, though it’s speculated that Mayweather is more likely to bag a large share of the pie. McGregor’s last fight was on November 12, 2016 when he fought and beat Edie Alvarez 22-3. 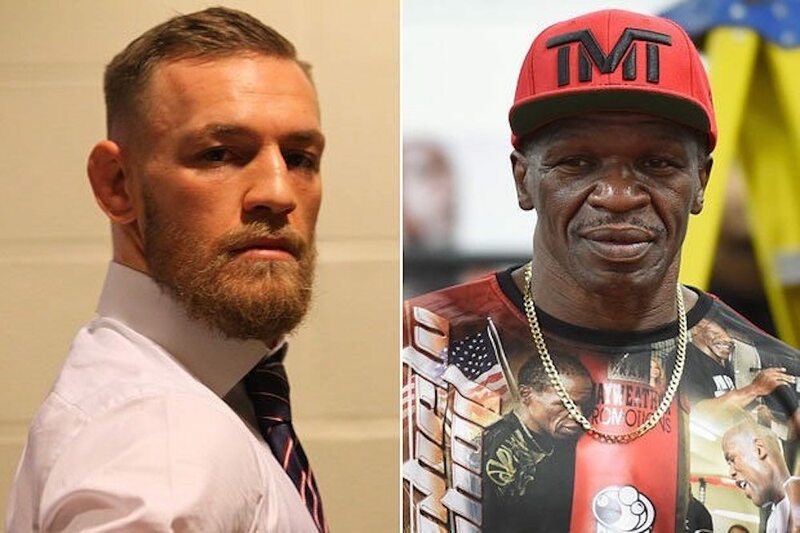 The 28-year-old Dubliner is confident that he’ll knock out Mayweather, boasting that he beats the world champion in height, reach, and youth hood. Conor is also a southpaw, while his opponent has had problems with southpaws. But will the legendary Mayweather come out of retirement just to suffer a beating from a boxer who is 12 years his junior? Many would doubt that. However, August 26 will be the day everything will be spelled out in black and white. For us fans, the mega-fight might be yet another once-in-century fight. Previous articleApple iMac Pro is coming this December – Here’s everything you need to know!